After winning a handful of design awards (and our very own Top 5 Picks of 2018), the Hyundai Kona is adding yet another trophy to its cabinet: the 2019 North American Utility of the Year. 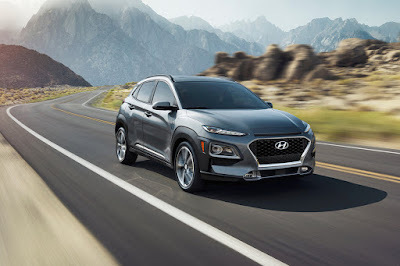 Presented at the North American International Auto Show in Detroit, the Kona and by extension, the Kona EV joined the Genesis G70 as the North American Car and the Ram 1500 as North American Truck of the Year. Chosen by a panel of 54 respected jurors from print, online, radio, and broadcast media across the U.S. and Canada, rather than a single publication or media outlet, the awards are among the most prestigious and unique in the industry. For both the North American Car and North American Utility of the Year, the competition was extremely competitive. On its way to being crowned, the Genesis G70 had to beat the Honda Insight and the Volvo S60/V60. While for Kona, it went against the Jaguar I-Pace and Acura RDX. For the truck category, the Ram 1500 won against two pickups from General Motors: the Chevrolet Silverado 1500 and the GMC Sierra 1500.